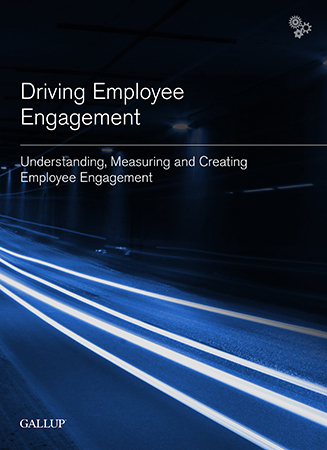 We've written the material that companies trust most when it comes to employee engagement. Discover our hands-on workbooks and bestsellers right here. We created the Gallup Manager Engagement Workbook to serve as a powerful resource for supervisors as well as front-line & first-time managers. Managers are a critical link to influencing employees’ performance and success. Outfit yours with the Gallup Manager Engagement Workbook and help them create & sustain engagement with their teams. How do great manager inspire top performance in employees? How do they generate enthusiasm, unite disparate personalities to focus on a common mission, and drive teams to achieve ever-higher goals? 12 answers these questions and more. The long-awaited sequel to bestselling First, Break All the Rules, this book follows great managers as they harness employee engagement to turn around a failing call center, save a struggling hotel, improve patient care in a hospital, maintain production through power outages, and successfully face a host of other challenges in settings around the world. Grounded in Gallup's 10 million employee and manager interviews spanning 114 countries, this New York Times and Wall Street Journal bestseller weaves the latest Gallup insights with recent discoveries in the fields of neuroscience, game theory, psychology, sociology, and economics. Written for managers and employees of companies large and small, 12 explains what every company needs to know about creating and sustaining employee engagement. 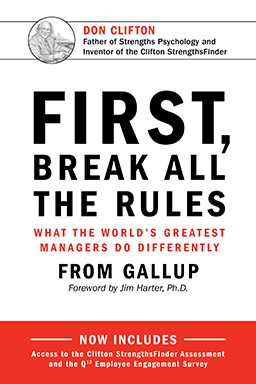 First, Break All the Rules presents the remarkable findings of Gallup's massive in-depth study of great managers across a wide variety of situations. 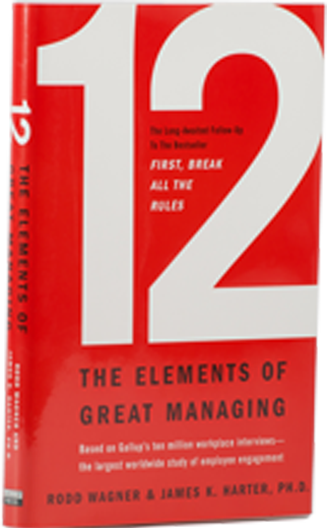 This New York Times and Wall Street Journal bestseller, which introduces the 12 simple questions that form Gallup's Q12 survey, explains how the best managers select an employee for talent rather than for skills or experience; how they set expectations for him or her; how they motivate people; and, finally, how great managers develop people. This book presents employee engagement and proves its link to productivity, profit, customer satisfaction, and employee retention. It includes vital performance and career lessons here for managers at every level, and, best of all, the book shows you how to apply them to your own situation. Much of what we think will improve our well-being is either misguided or just plain wrong. Contrary to what many people believe, well-being isn't just about being happy. Nor is it only about being wealthy or successful. And it’s certainly not limited to physical health and wellness. In fact, focusing on any of these elements in isolation may drive us to frustration and even a sense of failure. 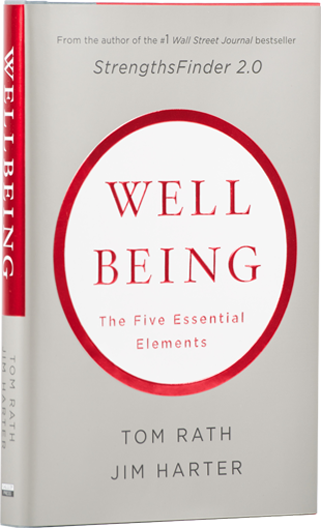 Wellbeing: The Five Essential Elements provides a holistic view of what contributes to your well-being over a lifetime. This book is filled with fascinating research and novel ideas for boosting your well-being in each of five universal, interconnected elements that shape our lives. This New York Times and Wall Street Journal bestseller helps you understand what makes life worthwhile. This will enable you to enjoy each day and get more out of your life – and perhaps most importantly, boost the well-being of your friends, family members, colleagues, and others in your community. Each copy of this book includes a unique ID code for Gallup’s online Wellbeing Finder, a program designed to help you track and improve your well-being over time.